Webit Istanbul – let's meet! 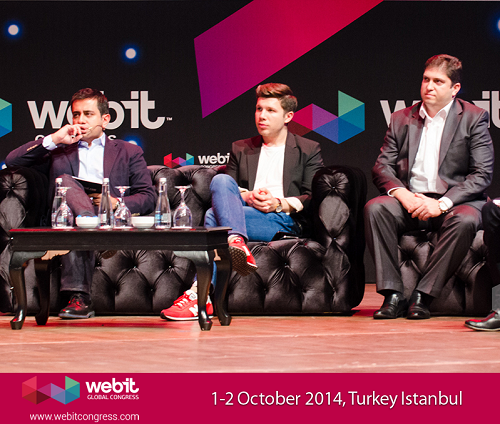 The beginning of October I will be representing IndigoVerge at a pretty interesting Digital marketing and Innovation Conference – the Webit Congress in Istanbul, Oct 1-2, 2014. I’ve seen on social media that the event has almost sold out and no wonder – there’s a bunch of pretty good speakers I’m looking forward to see. My key area of interest right now, being the Marketing Manager at IndigoVerge, is the digital marketing sessions, but, being a founder at the startup employee engagement platform Deed I am also keen to join the Leaders of the Future Tech summit where founders of well known companies (about.com, ubuntu, Y combinator, etc) will participate. Still, my experience show that the biggest value in events like this is the networking and information flow that follows as a result of this networking. So, I’m really excited and looking forward to mingle and connect with people having professional interests close to mine.